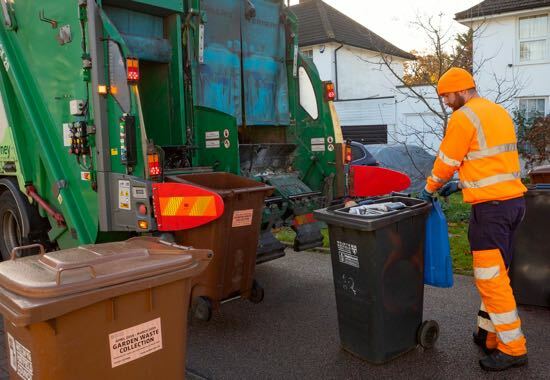 Local residents have been warned that their brown bins will not be emptied next week unless householders have subscribed to the recycling service for 2019/2020. 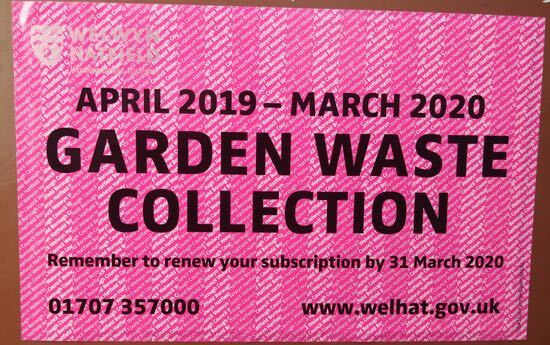 Welwyn Hatfield Borough Council (WHBC) issued the warning to remind people that the old subscriptions are out of date from Monday. WHBC says that if you haven't renewed your brown bin subscription yet you need to act fast. There is a £35 annual subscription charge for brown bin collections. If you subscribed by direct debit, you don't need to do anything. Those not registered and who want their garden and kitchen food waste collected every fortnight should complete their registration online. WHBC has confirmed that if you have subscribed and the pink sticker has not arrived, your details will be in the system and the brown bin will be emptied. Hi. Just to let you know, if people have paid they will be added to the system and their bin will be emptied even if they have not yet received a sticker. Stickers will be with all residents who have signed up shortly. Thanks.